I am so excited for today's giveaway! It is all about hair goodness! You all know how much I love a fabulous headband....if you didn't well it is a lot. Headbands just make a hairdo (at least in my opinion). They rock! Well today Roxanne, at Sola Bowtique, is giving away some hair cuteness to one very lucky Blissful and Domestic Reader. 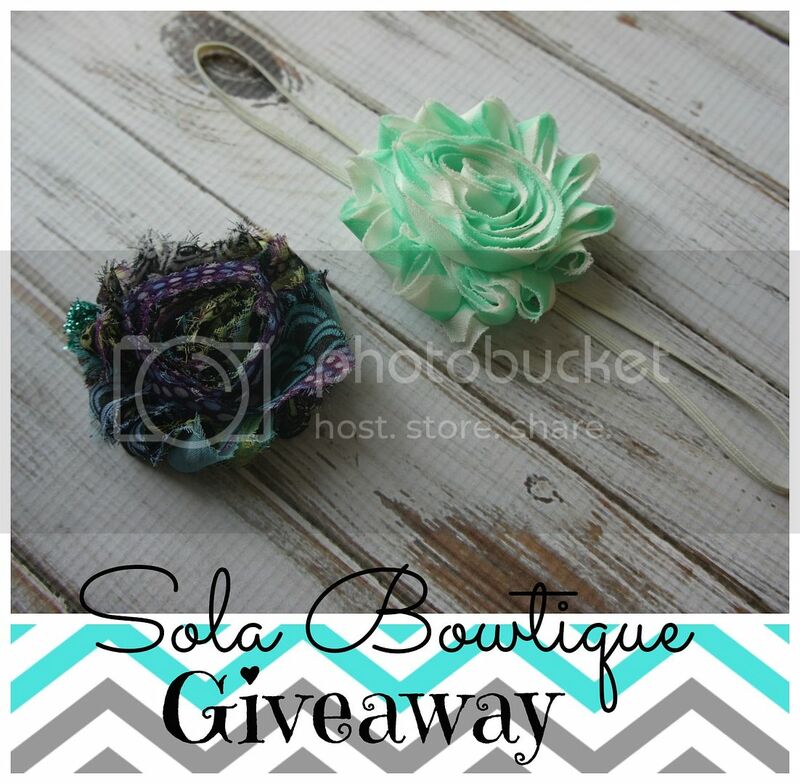 Today you will have the chance to win one peacock shabby hair clip and a mint chevron shabby headband. The peacock shabby flower is attached to a clip lined with aqua glitter ribbon, and the mint chevron flower is attached to an ivory elastic headband. All of Sola Bowtiques headbands are made for children and adults. Ready to win a little hair goodness? Also PLEASE leave your email address! PLEASE!